Shanghai is known for historic sites, shopping, parks, museums, and nightlife. Your plan includes some of its best attractions: get to know the fascinating history of The Bund (Wai Tan), admire the striking features of Jin Mao Tower, enjoy breathtaking views from Shanghai World Financial Center, and get a taste of the local shopping with Nanjing Lu (Nanjing Road). To find maps and more tourist information, go to the Shanghai road trip site . The Route module shows you travel options from your home to Shanghai. In December in Shanghai, expect temperatures between 11°C during the day and 3°C at night. Finish up your sightseeing early on the 16th (Sat) so you can travel to Beijing. 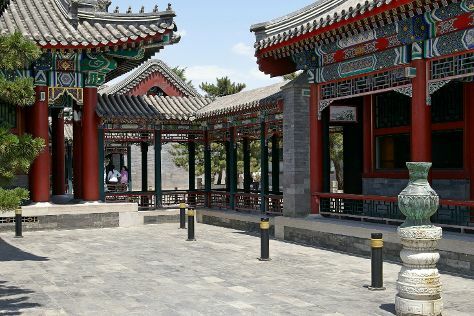 Beijing is known for historic sites, trails, museums, shopping, and parks. Your plan includes some of its best attractions: explore the historical opulence of Summer Palace (Yiheyuan), steep yourself in history at Ming Tombs (Ming Shishan Ling), see the interesting displays at National Museum Of China, and take an in-depth tour of Lama Temple (Yonghegong). To see photos, traveler tips, where to stay, and other tourist information, use the Beijing trip planner . Traveling by flight from Shanghai to Beijing takes 3 hours. Alternatively, you can take a train; or drive. Traveling from Shanghai in December, things will get little chillier in Beijing: highs are around 3°C and lows about -8°C. On the 21st (Thu), wrap the sightseeing up by early afternoon so you can travel to Xi'an. 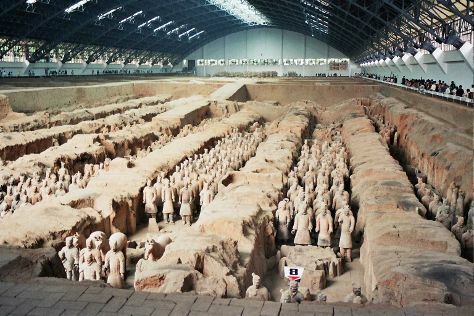 Start off your visit on the 22nd (Fri): get engrossed in the history at The Museum of Qin Terra-cotta Warriors and Horses, contemplate the long history of Big Wild Goose Pagoda (Dayanta), and then explore the ancient world of Xi'an Bell Tower. Inspirock's itinerary builder makes planning a Xi'an trip simple and quick. Fly from Beijing to Xi'an in 4 hours. Alternatively, you can take a train; or drive. Expect a daytime high around 6°C in December, and nighttime lows around -5°C. Wrap up your sightseeing by early afternoon on the 23rd (Sat) to allow time for travel to Hong Kong. Explore Hong Kong's surroundings by going to Macau (Ruins of St. Paul's & Taipa Village Macau). Pack the 24th (Sun) with family-friendly diversions at Hong Kong Disneyland. Spend the 26th (Tue) in some colorful company at Ocean Park. 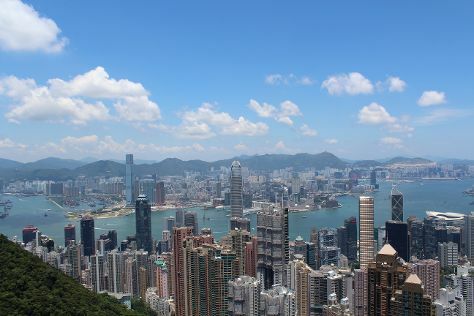 There's much more to do: enjoy breathtaking views from Victoria Peak (The Peak), tour the pleasant surroundings at Nan Lian Garden, make a trip to Hong Kong Skyline, and tour the water at your own pace with Duk Ling Ride. To see where to stay, more things to do, maps, and other tourist information, you can read our Hong Kong tour itinerary tool . You can do a combination of flight and bus from Xi'an to Hong Kong in 5 hours. Other options are to fly; or drive. Traveling from Xi'an in December, expect Hong Kong to be much hotter, temps between 24°C and 18°C. Finish up your sightseeing early on the 29th (Fri) so you can travel back home.